Down by the River – Page 2 – The best Boston Red Sox podcast on the Internet — or off it. Red Sox fans collective hopes coming into this season sounded something like, “Give me a team that plays meaningful games in September”. And true to those aspirations, the 2016 Red Sox look like they will deliver just that. Through a collection of individual efforts this season that have surpassed expectations from the time-reversing David Ortiz to the emerging “Killer B’s”, the Red Sox have turned our hopes into a new baseline of expectations. In this week’s Down By The River, Paul and Tim debate whether this team has overachieved or is underachieving or possibly both. With a team whose record is not living up to their individual results, the boys take another hard look at manager John Farrell and rekindle the #firefarrell mojo. Did Dave Dombrowski manage his first trade deadline with the Red Sox well? What can we expect from Andrew Benintendi? Can David Price finally turn some good performances on the mound into wins? Is this a playoff team? July has treated the Red Sox much better than the month of June did – and with the recent acquisitions of Brad Ziegler and Drew Pomeranz, Dave Dombrowski has been aggressive in shoring up some holes in the roster. But is it enough for the Red Sox to be serious contenders in 2016? Even if they are a playoff team, do they have the type of roster constituted to be successful in the post-season? Paul and Tim look at what has been driving the Red Sox hot July – hint: the starting pitching has been better than the month prior. But recent hiccups vs. the Twins have the podcast a little more skeptical of where this team can go this season. With the trade deadline looming, much of the conversation stems around the pitching staff – the disappointment of David Price, the potential need for a top-line starter and how aggressive should Trader Dave be with his prospects to go all-in in 2016 vs. a slow build to the top with the talent coming up the pipeline and his young Major League core? 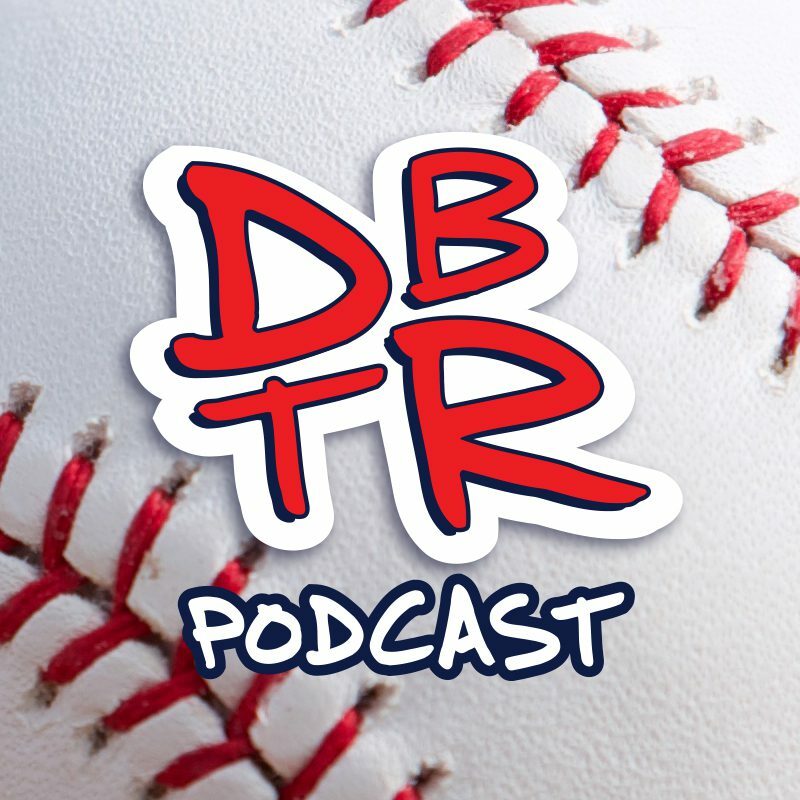 During last week’s #firefarrell special edition of DBTR, Paul and Tim told a precautionary tale of the prospects of a 6-3 homestand heading into the All-Star break actually being a bad thing for this Red Sox team in so far as it “saved” John Farrell his job (we aren’t the biggest fans of the current Red Sox skipper). Well, the Red Sox did us one better by overcoming #farrellface and finishing up with a nice and tidy 7-2 visit to Fenway Park. Don’t get us wrong, we like winning baseball games, but this homestand was nothing but a red herring. For as much as we criticize Farrell, the DBTR team takes the time to laud David Ortiz on his remarkable first half of the season. When was the last time we saw a 40 year old baseball player do something like this (not even Barry Bonds pulled this off past the age of 40). We close the show recapping Trader Dave Dombrowski’s early moves and start to look forward to the trading deadline. After a short hiatus, the boys are back and this week’s DBTR podcast has a central theme that ties the whole episode together. #firefarrell. You may need to read between the lines a bit to pick up on it. #firefarrell. Paul and Tim look through the Red Sox “June Swoon” and try to come up with some reasons for their recent struggles from poor pitching to a short bench to many questionable decisions by the coaching staff (#firefarrell). Not to be just another complaining voice in the echo-chamber, the DBTR team unveils a one point plan to turn things around this season and build into 2017. #firefarrell. The shine may be coming off the Red Sox rose a little bit after losing eight of their last 13 and five of their last seven games falling a game and a half behind the Baltimore Orioles in the AL East standings. A nation turns their lonely ears to the Red Sox Radio Network’s pre- and postgame host Mike Mutnansky to help Paul and Tim through this difficult time. Who is most to blame for the Red Sox recent struggles? What does the forecast look like moving forward? How should Dave Dombrowski be managing his organizational assets to address the fatal flaw that is this Red Sox starting rotation — and a Will Middlebrooks shout out to boot. After Paul single-handedly put the kibosh on Jackie Bradley Jr.’s 29 game hit streak, the boys set their sights on Xander Bogaerts as they anoint him the best pure hitter on the team. After basking in the feeling of being in first place in the American League East despite the Red Sox losing two of three games in Toronto over the weekend, Paul and Tim talk pitching. From Clay Buchholz in the bullpen to how far Joe Kelly and Eduardo Rodriguez can take the Red Sox and the incredible Mr. Steven Wright. The crew is then joined by the one and only “Certified G and Bonafide Stud”, Jared Carrabis from Barstool Sports. Where there may be a little bit of Clay bashing. DBTR S1:E8 – We’re Going Streaking! Let’s all just step back for a second and soak the moment. As a baseball fan, these are the times that you ride out all the frustration for. What is happening at Fenway Park so far this season is so hard to fathom, it’s beyond explanation and worthy of just admiration. The offense is rolling and the Red Sox are playing like the best team in the American League. With the team in first place in the AL East at the quarter mark, Tim and Paul welcome Chad Finn from the Boston Globe to the show to give his take on the season so far. While the team has been a pleasant surprise this season, some will tell you the new broadcast team covering it has not come up to their level. Who better to turn to vent about the lack of Don Orsillo in our lives than the Globe’s sports media critic himself? The Red Sox offense if humming right along, David Price has righted the mechanical ship, David Ortiz is a Super Hero, Jackie Bradley Jr. can’t make an out and Xander Bogaerts might be the best player on the team. Will Ortiz retire? Should the Red Sox being calling on Mike Trout? Where is Don Orsillo? DBTR S1:E6 – Strike This Kulpa! With all the momentum a series win at the American League leading Chicago White Sox can give them, the Red Sox stormed into Yankee Stadium ready to keep their feet on the pedal in the AL East. Despite a rocky, yet effective, start from Rick Porcello and an offense slow to the jump with runners on, the Red Sox had themselves in position against one of the most dominant closers in the game in Andrew Miller. We all know what happened after David Ortiz drew the count to 3-1 with the bases loaded and one out in the 9th inning down 3-2. But that won’t stop Paul and Tim from talking about it anyway! As if Friday night weren’t bad enough, David Price’s struggles continued Saturday afternoon. What does he need to do to right the ship? Can the Red Sox trust Clay Buchholz after his last bright start? Will Mookie turn things around at the plate?